In 2018, England's vice-like grip over the Calcutta Cup was finally broken at Murrayfield and now the Red Rose will be seeking revenge on home soil. Both sides ended the autumn with a mixed bag of results but Eddie Jones and Gregor Townsend's focus will now firmly be on the 2019 championship. The fixture will be the final game of the championship and both coaches will be hoping that it will be a pivotal for their sides. 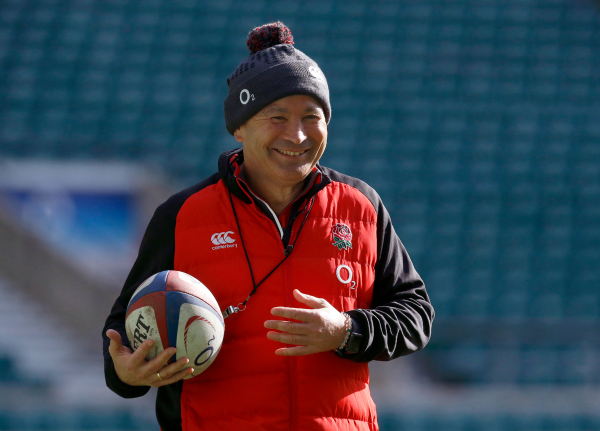 Barring the draw in 2010, England had been triumphant over Scotland in every Six Nations tournament since 2008 - until Townsend's side decided enough was enough earlier this year. With wins over Italy and Wales already under the English belts, toppling Eddie Jones' winning machine looked like a tall order for the Scots but three tries were enough to seal victory at Murrayfield. Huw Jones scored Scotland's first try against England at home for 14 years and followed it up with another to give his side command of the match. England had played 25 times under Eddie Jones and won 24 of those but they were unable to avoid their second loss as Sean Maitland scored in between Jones' tries to put their side 22-6 up at half-time. The Red Rose did launch a fightback in the second half as Owen Farrell scored and converted but it wasn't enough to get a rhythm going as the curtain came down on a momentous 25-13 Scottish victory. Scotland will have seen the victory as payback for the 2014 Murrayfield clash in which they failed to score a point. The hosts allowed Luther Burrell and Mike Brown to score the tries that won England the match and there was to be no fightback from Scott Johnson's men. Poor decision making and a lack of territory meant that try scoring opportunities were few and far between for the men in blue as the final scoreboard read: Scotland 0-20 England. England went on to win the triple crown but ultimately lost out to Ireland as the men in green were crowned 2014 Six Nations champions. Historically the fixture has not been kind to Scotland having won only four of the 19 encounters between the two countries since Italy joined the championship in 2000. Perhaps one the most memorable encounters between the two sides came in 2003 when Scotland arrived at Twickenham to face a so far undefeated England. Three wins from three meant England were on the hunt for their first ever Grand Slam in the Six Nations however, Ireland were in exactly the same position, making it a must win game for Clive Woodward's men. Scotland failed to live with England's danger men as tries from Josh Lewsey, Jason Robinson and Ben Cohen put the men in white in full control. Johnny Wilkinson was deadly with the boot adding 18 points as England ran out eventual 40-9 winners but more importantly ensured their meeting with Ireland in the final round remained a shootout for the championship. England ultimately won that match to win the Six Nations crown and become the first ever Grand Slam winners of the expanded competition. England's capital city boasts an endless array of spoils, history and stunning tourist hotspots to be savoured by any rugby fan visiting Twickenham. 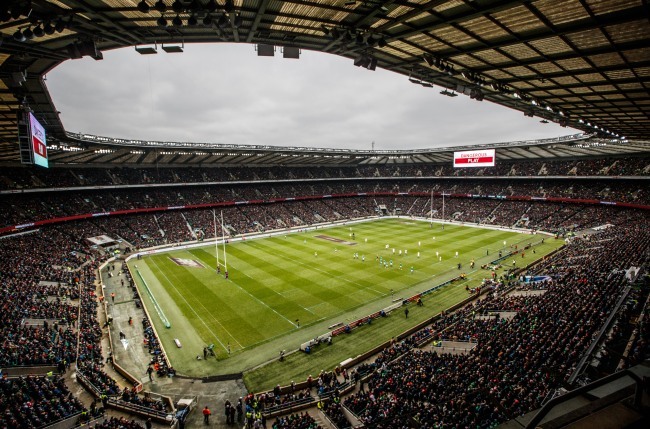 With England's rugby headquarters situated a mere 10.7 miles outside central London, it's easily accessible for fans to nip between sightseeing and watching the try scoring delights. There's any manner of things to do in London, whether it be heading to the world renown locations like Buckingham Palace, the Tower of London or a bit further afield to Windsor Castle, or the hustle and bustle of shopping areas such as Oxford Street, Regent Street or Westfield shopping centre. For rugby fans there's plenty of opportunities to sample the delights that Twickenham has to offer with a world class stadium tour available alongside the chance to visit the World Rugby Museum. For those fancying a tipple or a swift half of something a bit stronger, there are numerous pubs in walking distance from the stadium offering all manner of food and drink. Since its construction in 1907, Twickenham has been the home of English rugby. Before the stands were erected and the pitch cultivated, the stadium was previously a market garden, hence why it's affectionately known as the cabbage patch. The stadium has hosted three World Cups in 1991, 1999 and 2015 respectively and has recently undergone an impressive redevelopment in time for the 2018 November internationals. The ground hosts a monumental 82,000 supporters within its confines and fans can be heard signing from miles around on match days. Twickenham is easily accessible by all manner of vehicles whether by car, bus or train. If you're travelling by car, head down the M25 before exiting at J12 onto M3. This becomes the A316, and Twickenham Stadium is off the Whitton Road roundabout. Or if you're travelling via central London turn right off the A316 at Whitton Road roundabout. Make sure to leave plenty of time prior to kick-off with roads hectic on match days. Parking at the stadium is free of charge on non-match days, while during the Six Nations there's an RFU shuttle bus service running between Richmond Station and the stadium and Hounslow East and the stadium. The service is free, and the buses return to Richmond and Hounslow after the match. Pre-match the services run from the A316 Pools in the Park in Richmond and Hounslow East station, in Kingsley Road. Alternatively, Twickenham Rail station is only a short 10-minute walk from the ground, with Whitton and St Margaret's Rail Stations also nearby. Richmond Rail and Tube station is eight minutes away via train from Twickenham Station. Four airports are situated in the vicinity of Twickenham, with Heathrow six miles away, London City 20 miles away and London Gatwick and Stansted further afield.